When your blog has too many posts, visitors don't always have the time or desire to go through all the posts written there in order to make an idea of the blog's content. Thus, a random posts widget that will allow visitors to find content more easily could be really useful. 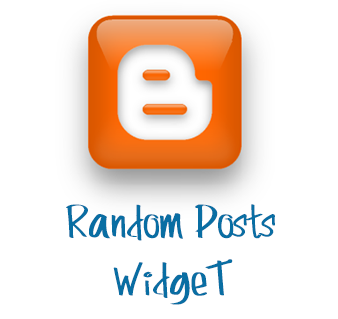 This tutorial will show you how to add a random posts widget to display a list of posts in a random order with thumbnails and excerpts. Step 1. Login to your blogger account, select your blog and go to "Layout". Thumbnail dimensions: to change the size of the thumbnails in pixels, replace the 75px value. Click on the "Save" button and View your blog. The sidebar will display a random posts widget on each of your blog pages.